My friend Megan prepared the following snack for her Memorial Day Dinner. 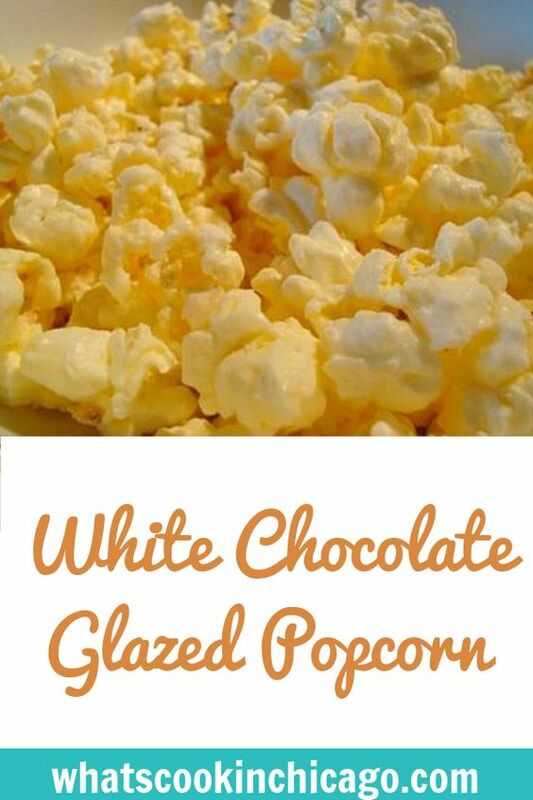 This has been a favorite of ours because it's easy to make and a great sweet and crunch treat to snack on. Megan got this recipe from her brother and with only 2 ingredients, what's not to love? Prepare the microwaveable popcorn as directed. Place in a large bowl and remove any unpopped kernels. Melt the white almond bark in a small bowl. 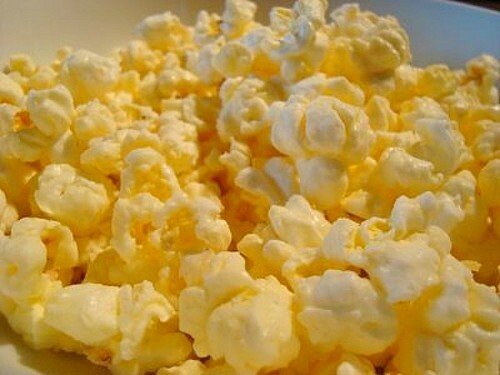 Pour the melted almond bark over the popcorn and toss to fully coat.